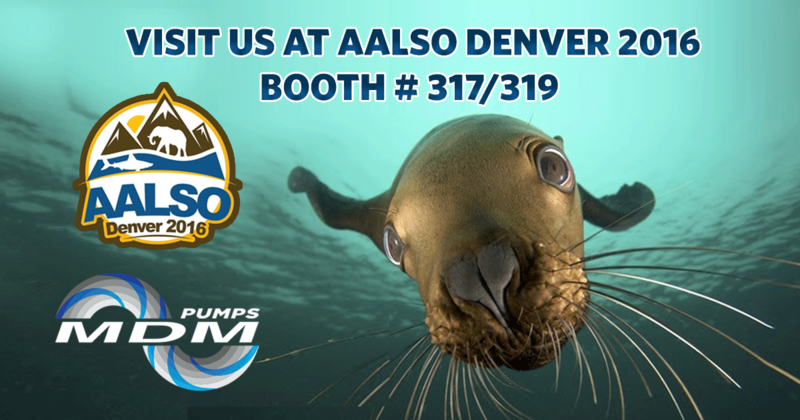 MDM, Inc. will be participating again at the Annual AALSO Symposium and Workshops aka the AALSO Denver 2016. The symposium takes place on April 17-20 at Embassy Suites, Loveland, Colorado and is hosted by Denver Zoo and Landry’s Downtown Aquarium. MDM Inc., will be at Booth 317 & 319. AALSO (Aquatic Animal Life Support Operators) is a non-profit organization focused on creating opportunity for operators and vendors to exchange information and ideas freely by providing a forum for life support operators, professionals, and industry leaders to exchange information, ideas and experience to enhance stewardship of the animals in care. We are excited not only for the Symposium and Workshops to take place in the Rocky Mountains; essentially our backyard, and this year MDM is honored to be assisting AALSO on three of the workshops and part of the production of the AALSO big water loop. A complete circulating system dubbed the Big Water Loop will run through sub 4,000 square feet of workshop floor and will be the centerpiece of the workshops. Attendees will be able to work on several different components such as actuators, probes, flow meters, sensors, heat exchangers, pumps and many others all while the system is operational. Our water quality series will be able to actively sample water from this system and attendees will learn how to perform various water analysis. Pump Rebuild Bearings and Motors – This workshop will cover pump rebuild techniques and attendees will have the opportunity to change pump motors, remove pump bearings and press new bearings into the pump. Pump System Optimization – Learn what the major plant engineers are doing to improve fluid flow process and reduce energy consumption. Pump System Optimization (PSO) applies efficient hydraulic principles to antiquated and improperly sized fluid handling systems in an effort to increase system efficiency and reduce energy consumption. Small Pump Rebuild – We are tag teaming with the Hayward Flow Control team to offer this workshop. Many people are unaware that small pumps can be rebuilt much in the same respects as their larger “cousins”. Workshop attendees will have the opportunity to cycle through each of the above manufacturers and completely rebuild these pumps from impellers and shafts, to seals and even changing motors. We are thrilled about AALSO 2016 because we have worked hard to contribute to a great set of educational workshops. This will be MDMs 8th year at AALSO. We are very proud of the relationships we’ve developed over the years with all the various operators and vendors. – Ben Ashe, Vice President MDM, inc.
Don’t forget to visit us at Booth # 317/319, we have exciting giveaways for you all! See you on the conference floor!